The UJ-Civil Engineering student society strives to encourage interaction between aspiring engineers and the engineering industry. Since the society’s establishment in 1984, there have been many great achievements and the society’s members who include first to final year students continue to benefit from various activities. It is in the regular opportunities for interaction between students and industry that the membership most clearly offer benefits. Whether it’s learning more about the exciting world of construction or meeting prospective bursars and employers; regular industry-sponsored evening functions are a crucial part of the society’s mission. 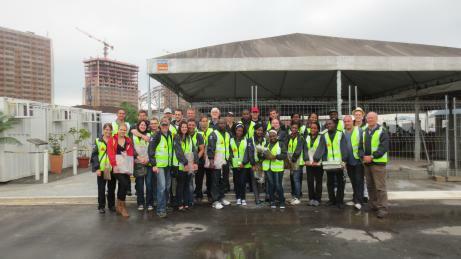 This year, such functions were held with the likes of Lafarge, Knight Piesold, Basil Read and many more. In 2014, the student society hosted a highly successful Golf Day; backed our boytjies in the Varsity Cup; undertook various community engagement activities and organised an educational excursion to various construction sites in Moscow, Russia (to be held during the September recess). 2014 also marked the beginning of a three-year sponsorship deal with Lafarge. The newly renamed Lafarge Engineering Club is set to become a top-class multi-function venue that will further facilitate networking, learning and community engagement in the future. 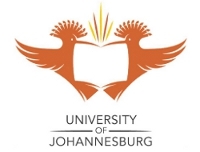 The UJ-Civil Student Society recently added a significant achievement to their list of accolades by being nominated and accepted as an official student chapter for the UJ-APK campus by the South African Institution of Civil Engineering (SAICE). “This will facilitate even greater networking opportunities between the student members and industry. It also acts as recognition for the excellent work the society has been doing previously It will further allow the society to have representation on the SAICE Young Members Panel (YMP), allowing our students to shape tomorrow’s Civil Engineering industry today,” says senior lecturer, Mr Deon Kruger. SAICE- an oversight and regulatory body for Civil Engineering in South Africa- is a crucial part of all Civil Engineering graduates’ futures. This partnership promises to ensure that our graduates step into that future with the confidence that comes with solid preparation.